The camera's smart learning algorithm allows it to decipher between objects, people, and animals, and subsequently send notifications that dynamically warn users of exactly what's appearing outside their home with the text: "Person seen," "Car seen," or "Animal seen." The company said this provides peace of mind for everything from everyday to vacation homes, and can alleviate worry for problems when users aren't home, such as warning when a delivery driver has dropped off a package. Presence captures 1080p videos "under any light conditions" with an extensive 100 degree field of view and 65 foot detection range. The Wi-Fi connected camera is waterproof and can resist sun, ice, rain and wind. 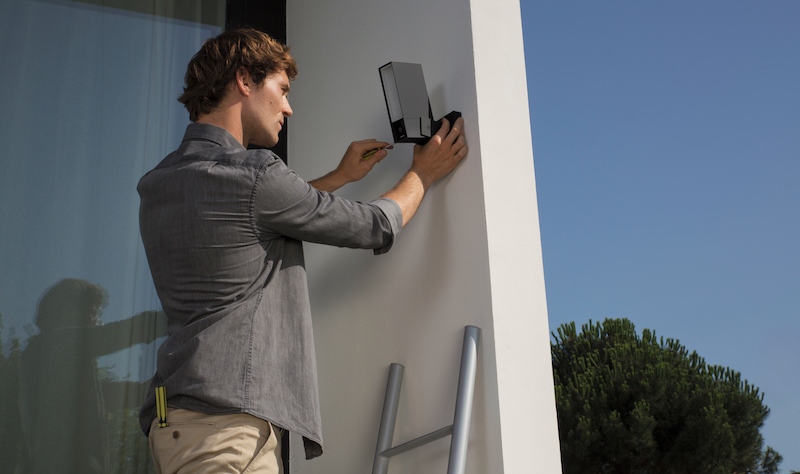 "Presence marks a new step forward for consumer security cameras. Unlike existing surveillance systems that need human analysis, Presence understands what’s happening outside the house and operates without requiring a subscription. The camera instantly detects unusual situations and sends precise notifications to the users’ smartphone. Presence offers peace of mind to the users: it alerts them in real time if there’s a break-in, an intruder, or property damage", explains Fred Potter, Founder and CEO of Netatmo. In terms of the camera's push notifications, Netatmo says they're "entirely customizable," so each person can decide whether they want to automatically record movement caught by the camera, only get notifications for people arriving, only record wandering animals, etc. 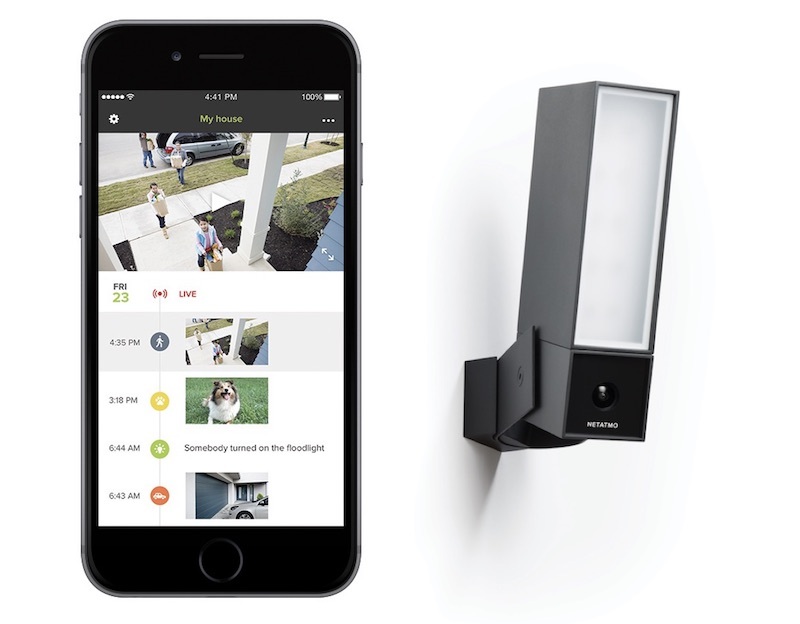 With a feature called "Alert Zones," users can also designate Presence to warn them of activity in up to four specific places like a yard, property gate, garage door, or other areas. If users choose to begin recording video footage, Netatmo provides free video storage with the Presence. There's also a time lapse feature so users can catch up on the last 24 hours of activity caught on the camera, through one picture taken each minute, so it's easy to discover and evaluate any potentially dangerous activity taking place outside a home. This includes nighttime activity, because the Presence has a powerful infra-red night vision mode, as well as an integrated smart floodlight "that can detect and scare off any unwanted visitors or light the way when it’s dark." Additionally, Presence is compatible with IFTTT, a connected smart platform that allows users to connect hundreds of different services together in one place in order to string together smart "Recipes." According to Netatmo, this can result in a variety of useful commands to make life easier for Presence users. They can then use simple "if this, then that" statements called Recipes to automate and control different aspects of their connected home. For example, an IFTTT user could say "if Presence detects a car in my driveway, then open my connected garage door." Other practical Recipes include, "If Presence detects an animal in the garden, then turn off the sprinkler," and "if Presence is disconnected from WiFi, send me a notification." In terms of storage, Presence stores videos locally on an internal micro SD card, but users can also choose to transfer them to their Dropbox account or their personal FTP server. For those worrying about the addition of another subscription fee with Netatmo's outdoor camera, the company confirms that "storage is entirely free and does not incur any additional subscription or fee." The camera is also secured by end-to-end encryption when data is transmitted between it and the smartphone app. 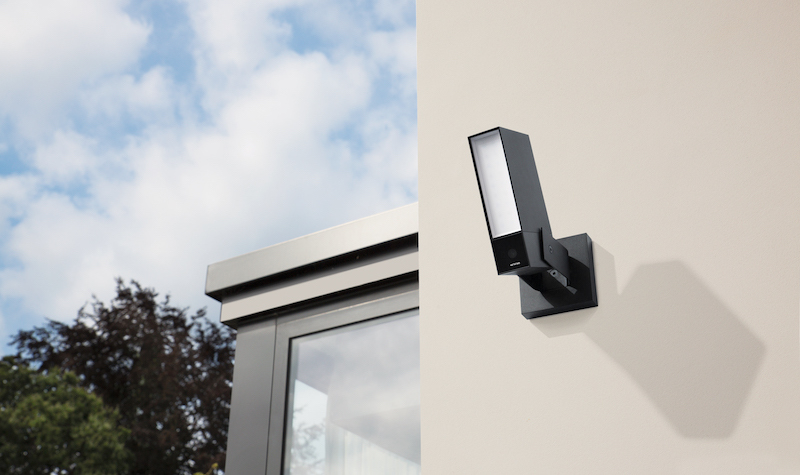 Netatmo said that installation is easy because the Presence simply replaces an existing outdoor light. With iOS 10, the Netatmo Security app also supports rich notifications so users can catch glimpses of each recording of the camera without unlocking their phone. The company's notification range extends to apps on the Mac and Apple Watch, as well. Anyone interested can pick up a Netatmo Presence beginning today from Apple, Amazon, and Home Depot for $299.99. "if Presence detects a car in my driveway, then open my connected garage door." This is a great idea! It's much easier for a burglar to load up the van in the garage instead of out in the rain. The company's notification range extends to apps on the Mac and Apple Watch, as well." Is this Homekit compatible? If not, why not? This is my question as well, but from the looks of it I'd doubt it since they don't seem to mention HomeKit outright. So far the only home security camera I've seen that is HomeKit compatible is the yet-to-be-released Canary Plus, but that's indoor only. I wish there were a HomeKit-compatible outdoor camera option. In terms of storage, Presence stores videos locally on an internal micro SD card, but users can also choose to transfer them to their Dropbox account or their personal FTP server. This is great, as long term storage is a feature missing from many other cameras. Another good thing. It seems a few other products that had long term storage features, they required some type of sub fee. I might look more into this, I wonder if it will come to Lowes? How do you plan on doing that without Wifi? Carrier pigeon? Smoke signals? I imagine the Netatmo server detects the disconnection and sends an alert. Looks like a great product. Not that creepy Nest cameras that gives Google access to your home. I agree must be smth like Persistent server communication that if interrupted pushes out alert. "If Presence detects an animal in the garden, then turn off the sprinkler," and "if Presence is disconnected from WiFi, send me a notification." Yeah, my first question was Home Kit????? And it doesn't say it is. If everyone asks them the question, perhaps it will clue them in it add it - if it isn't already. Our product is not compatible with apple home kit. There is no concrete information I can share with you yet, concerning a potential future compatibility with the apple home kit. Absent HomeKit support, I'm not sure I want to presume that this camera is, and will remain secure.